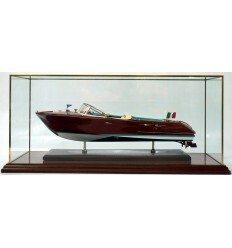 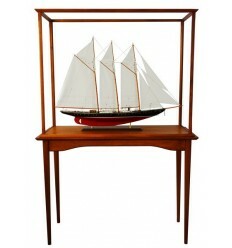 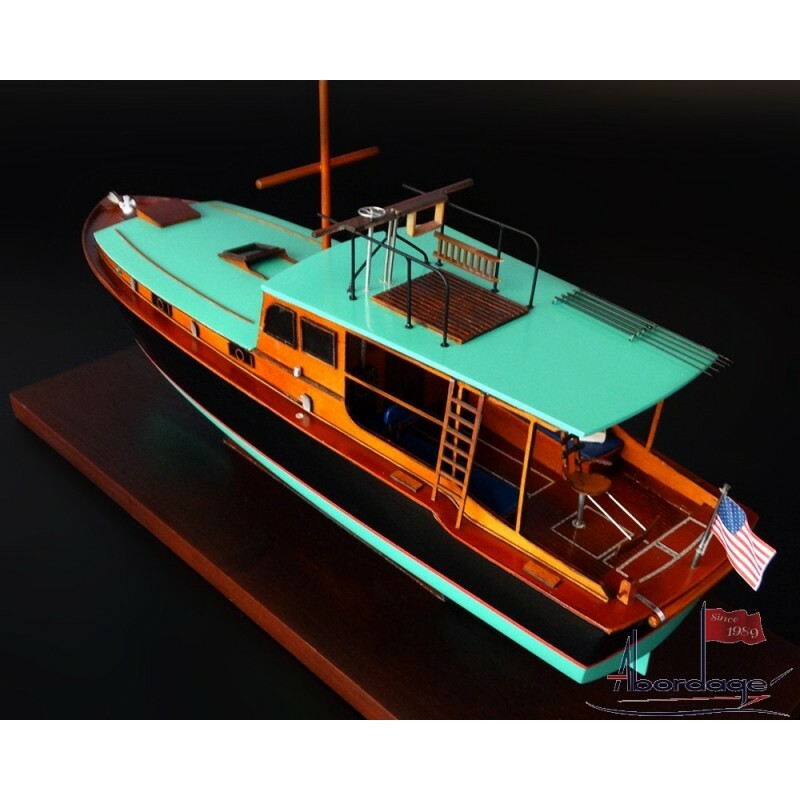 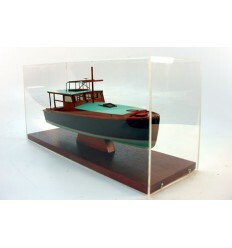 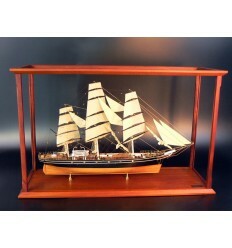 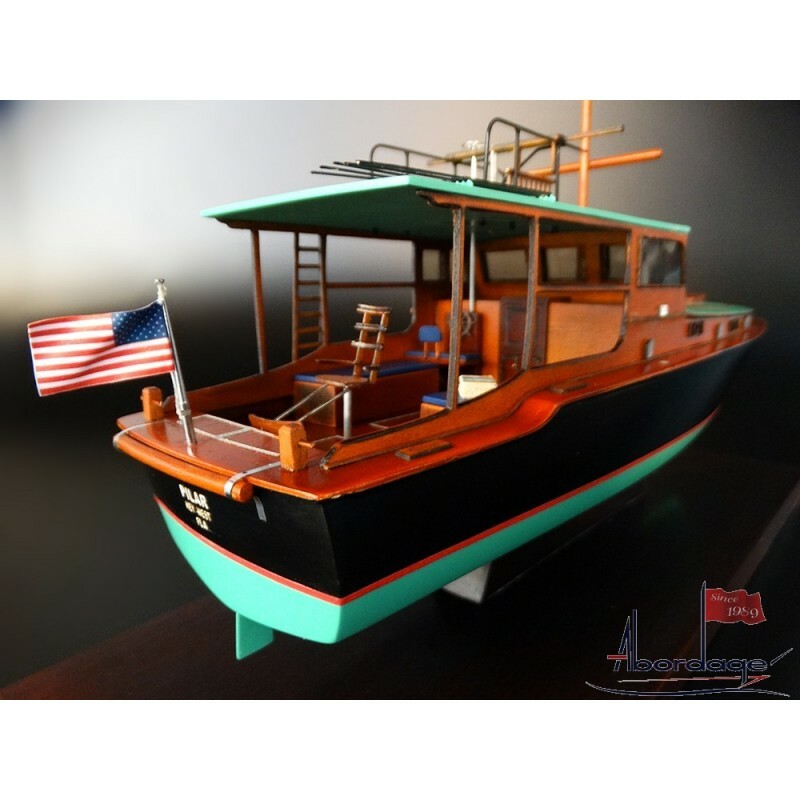 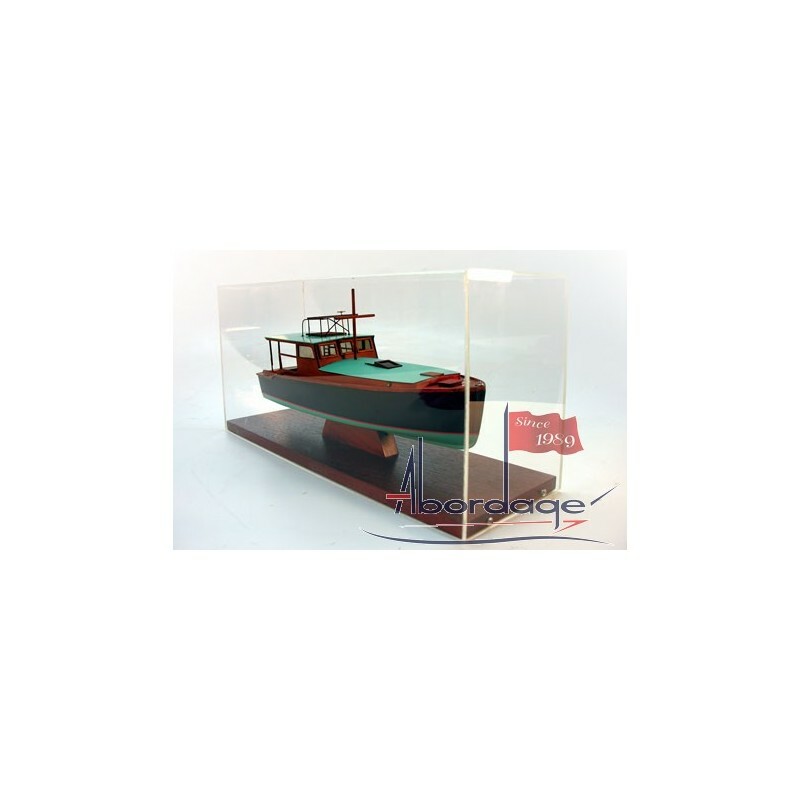 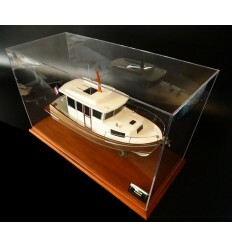 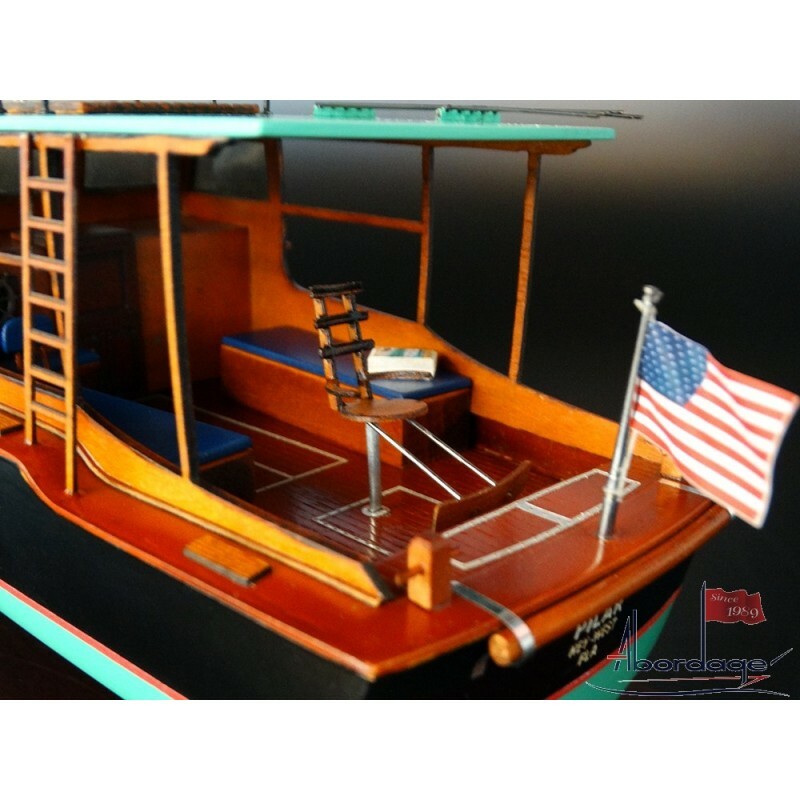 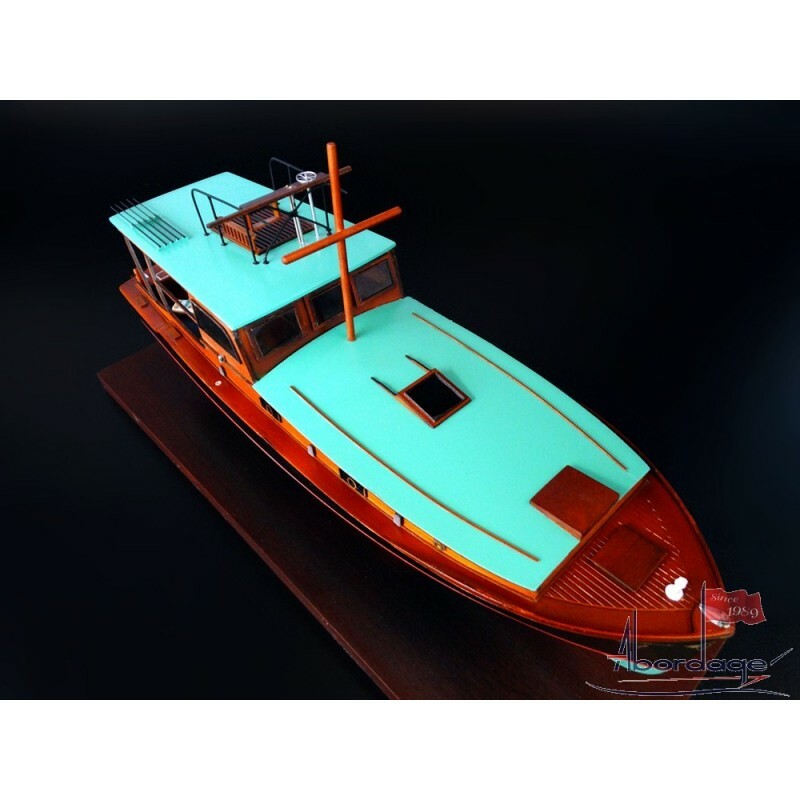 Buy this very cute model of Ernest Hemingway's fishing boat, the Pilar that comes in a protective display case. 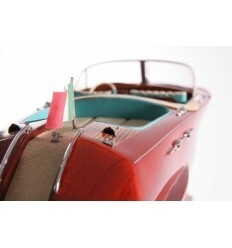 Just perfect for your desktop or a collection. 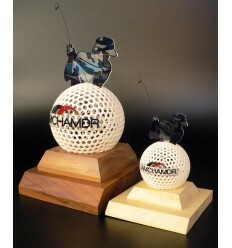 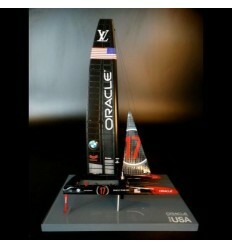 After the large scale model of 24" LOA. 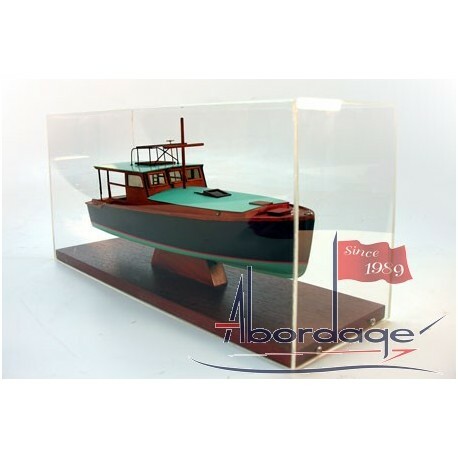 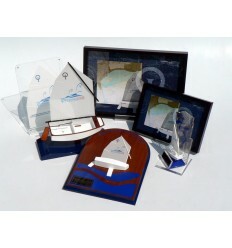 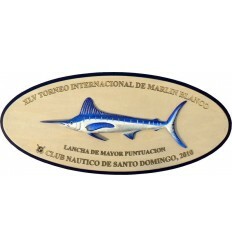 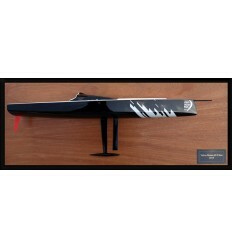 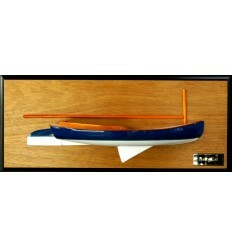 ( 60 cm ), Abordage presents you its latest version of the Pilar also painted "pirates black" as in her original version. 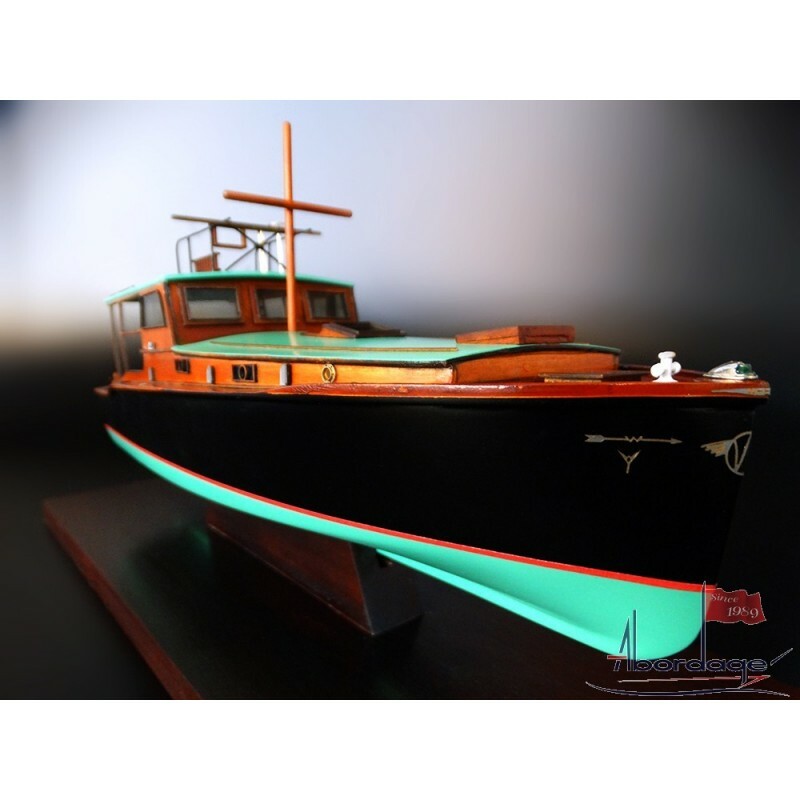 Historic Note First built in 1934 by the Wheeler Shipyard in New York City, the Pilar has preserved the art of plank-on-frame wood boat construction for almost 100 years.